The Viking Traveller 8x21 compact roof prism binoculars is ideal for beginners at an affordable price. 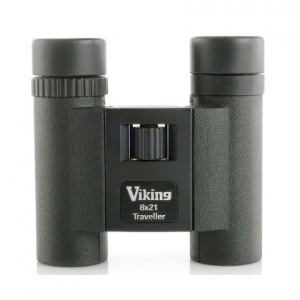 With coated optics and a rubber armoured body the Viking Traveller 8x21 is a simple and easy to use a binocular that is small enough to fit in your pocket. Complete with strap and soft case.